Paul Andrew has a pretty impressive resume - he worked at Alexander McQueen and Salvatore Ferragamo before deciding to launch his own eponymous brand to instant industry acclaim. 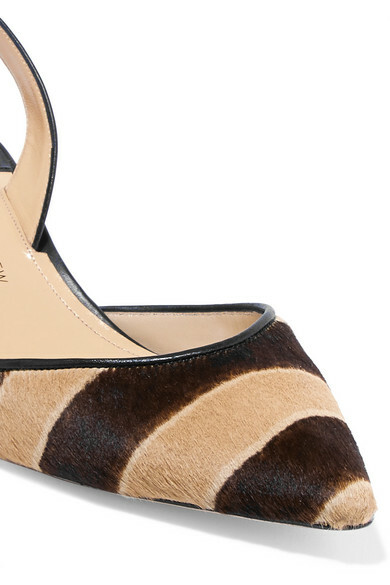 These zebra-print 'Rhea' pumps have been crafted in Italy from calf hair and have a leather slingback strap and 55mm kitten heel. 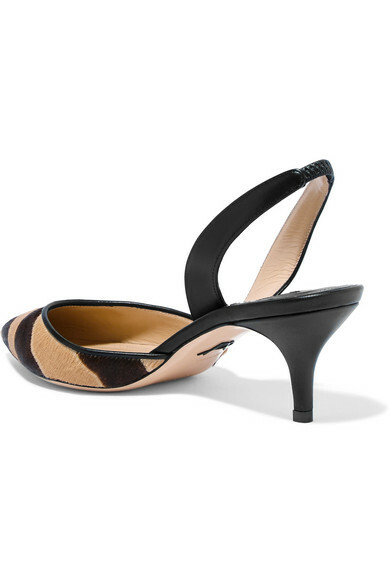 Style them with a blazer and straight-leg jeans. 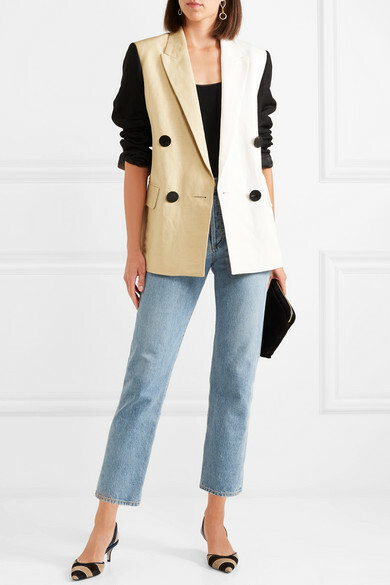 Shown here with: Goldsign Jeans, Petar Petrov Blazer, The Row Clutch, Wolford Bodysuit, Sophie Buhai Rings.